DT SNAP light slv - Clamps & Coupler - Products - DuraTruss B.V. 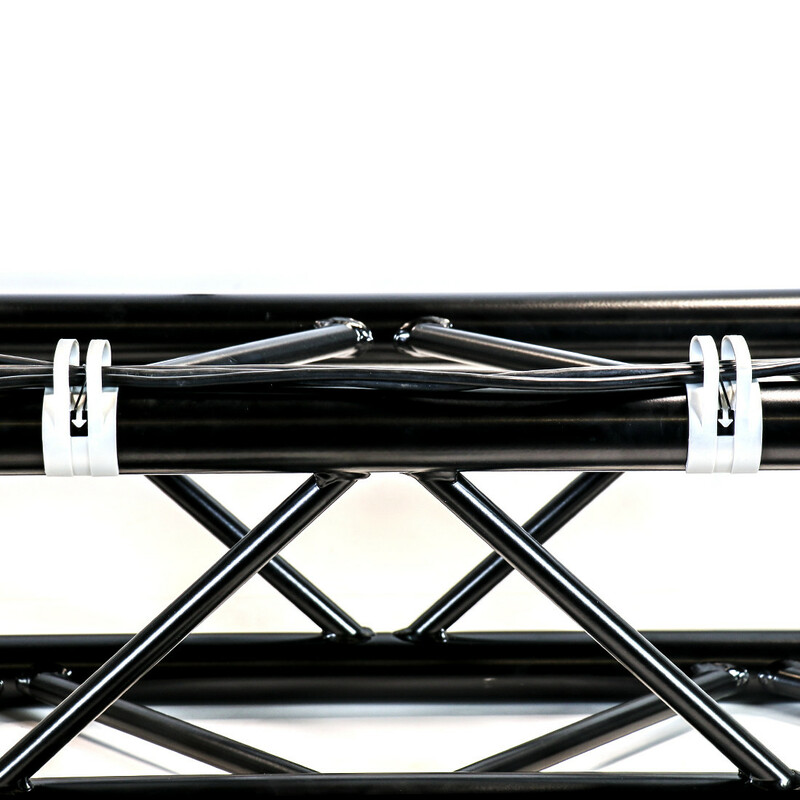 Novel cable management system made of plastic for fastening cables to trusses with 48-51mm pipe. By using this reusable truss tool, you can reduce the costs of cable ties and adhesive tapes, while also saving valuable time in designing and dismantling, as well as extra time to remove residues of adhesive tapes. The SNAP light can additionally be used as a friction protection when using wire / steel cables for the suspension of traverses. In this case, it is possible to accommodate load-bearing means up to a diameter of 10 mm. 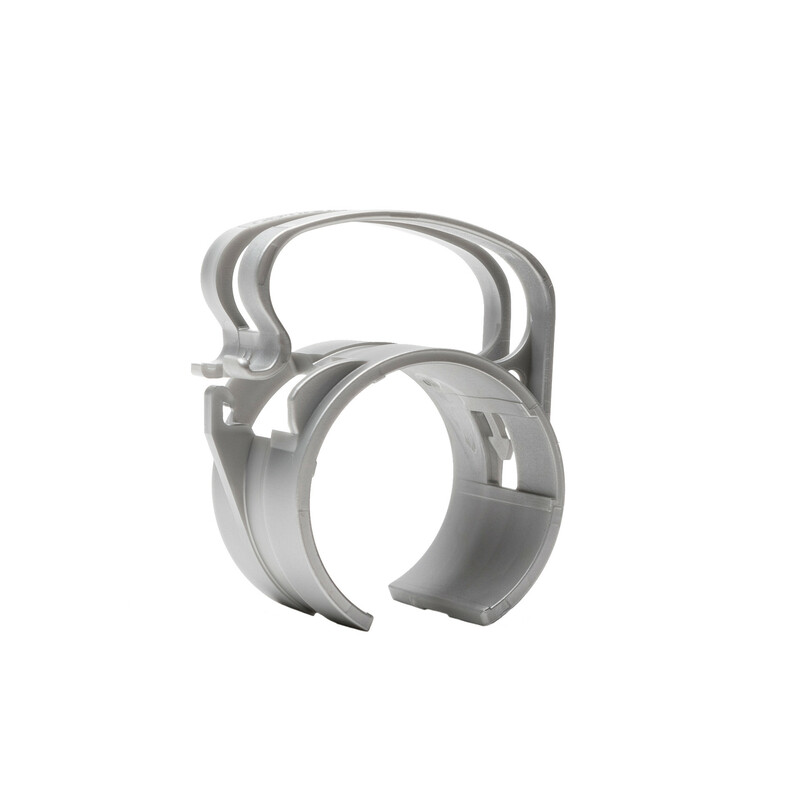 The clamps are available in silver and black. 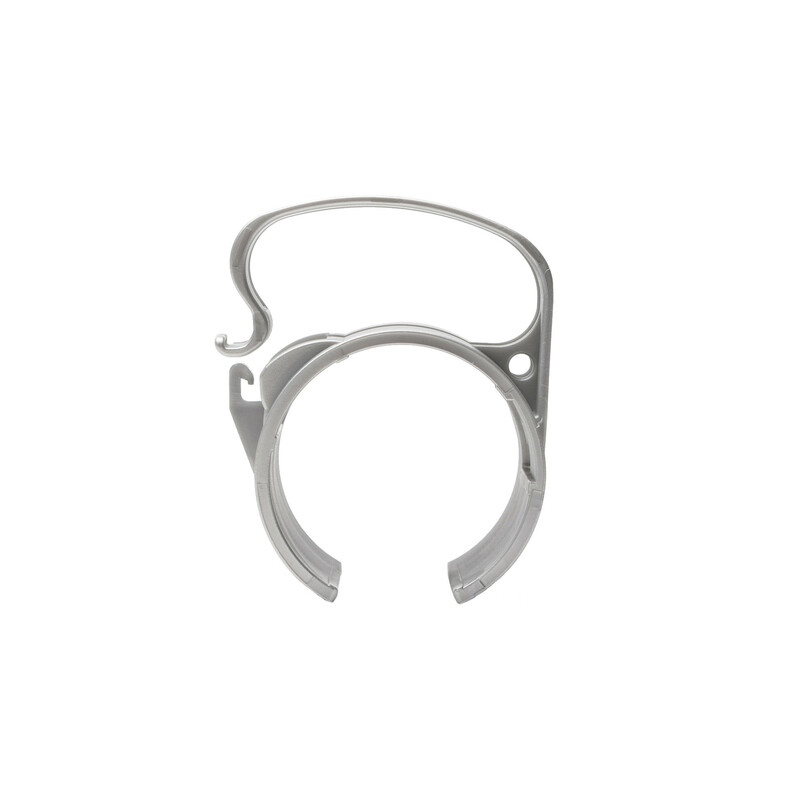 An O-ring is also available as an opition. With this black rubber ring, you can lead the cables even closer to the handrail. The O-ring is avaliable in a set of 25 pieces. - Width: 60 mm max.